The Association for Women’s Rights in Development (AWID) is an international, feminist, membership organization committed to achieving gender equality, sustainable development and women’s human rights. 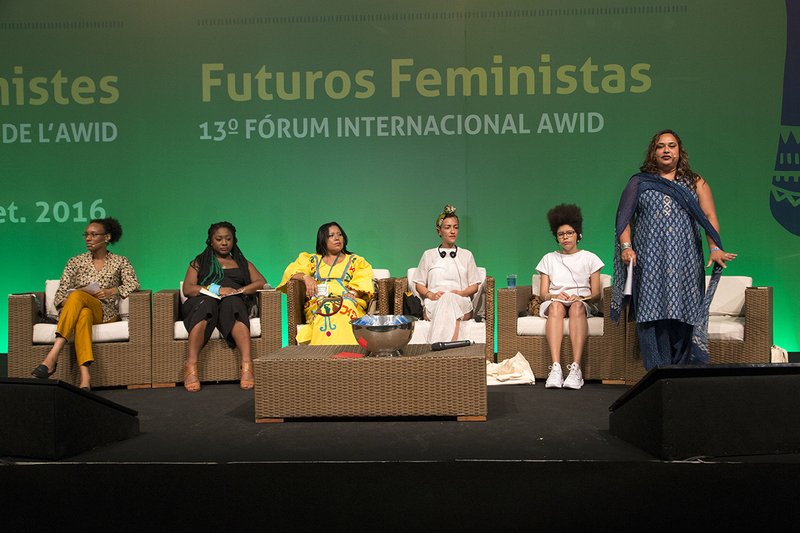 AWID’s mission is to be a driving force within the global community of feminist and women’s rights activists, organizations and movements, strengthening our collective voice, influencing and transforming structures of power and decision-making and advancing human rights, gender justice and environmental sustainability worldwide. 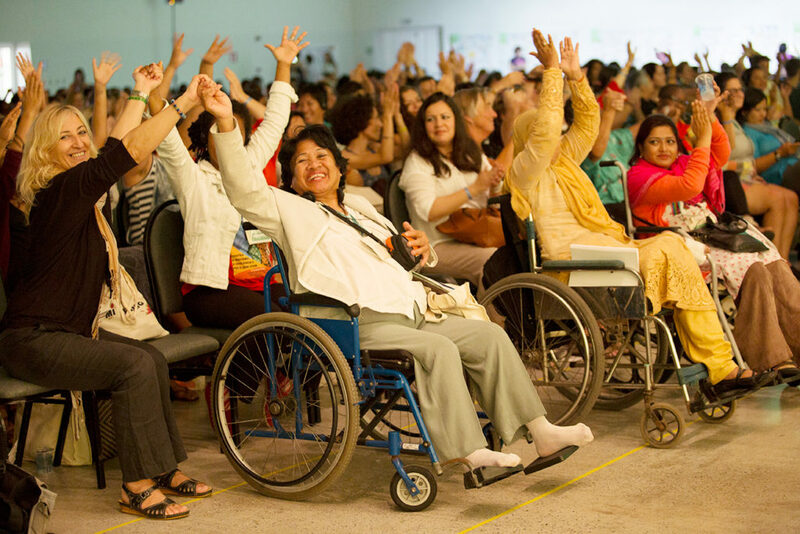 2015: Channel made a grant to AWID to support the Access Fund (and particularly the participation of women with disabilities) for the 13th International AWID Forum on Women’s Rights and Development: Feminist Futures: Building Collective Power for Rights and Justice which took place Sept. 2016 in Salvador, Bahia, Brazil. Also in 2015 Channel made a grant to AWID to support the meeting of an emerging women human rights defender (WHRD) network in the Middle East and North Africa (MENA) region. The WHRD MENA Coalition was formally established in March 2015 and is currently operating from Beirut, Lebanon representing a wide network of women human rights defenders in the MENA region. 2014: Channel made a grant to AWID to support an action research project investigating funding for Indigenous women’s rights. 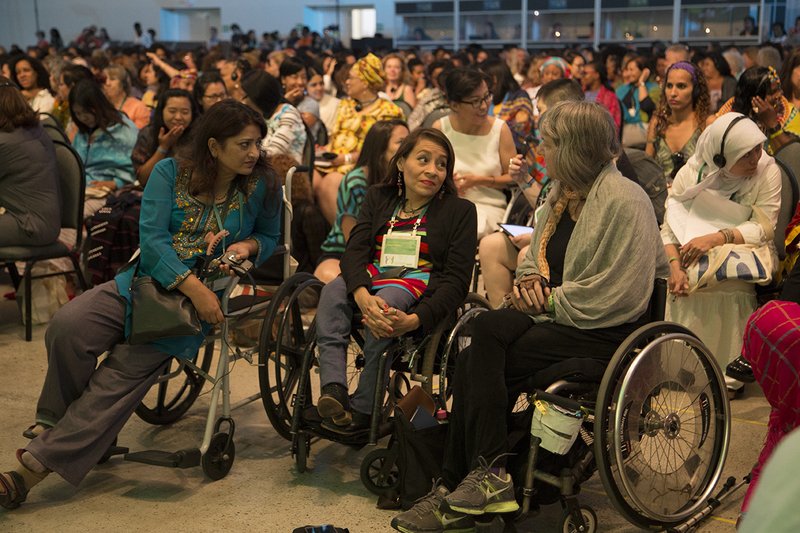 The research project (undertaken in conjunction with International Indigenous Women’s Forum (FIMI) and International Funders for Indigenous Peoples (IFIP) included an Indigenous Women’s Resource Mobilization Hub at the IFIP World Summit on Indigenous Philanthropy, Sept. 2014 in New York City and ultimately led to the publication of a joint report which provides a first-of-its kind snapshot of the funding landscape for Indigenous women’s organizing. The report, A Call to Action: Insights Into the Status of Funding for Indigenous Women’s Groups, released Oct. 2016, shares findings from a collaborative study on resourcing Indigenous women’s rights. 2013: Channel made a grant to AWID to support the Mesoamerican Women Human Rights Defenders Initiative meeting, Violence Against Women Human Rights Defenders in Mesoamerica: Dialogue on Effective Strategies and Financial Sustainability, which took place Jan. 2014 in Mexico City, Mexico. 2012: Channel made a grant to AWID for the 2012 Forum Innovation Seed Grants Program to support original projects born at the 2012 Forum inspired by its theme, Transforming Economic Power to Advance Women’s Rights and Justice, with small $5,000 grants. AWID selected 24 winning projects to implement initiatives for transforming economic power. 2011: Channel made a grant to AWID to support the travel and participation costs of several women’s rights activists to take part in the 12th AWID International Forum on Women’s Rights and Development: Transforming Economic Power to Advance Women’s Rights and Justice, April 2012 in Istanbul, Turkey. This contribution was dedicated to the Access Fund which was intended to facilitate the participation of diverse grassroots women leaders and activists from various social movements all over the world at the AWID Forum. Recordings of the 2012 Forum plenaries in multiple languages can be found on the site of the Feminist International Radio Endeavour (FIRE). AWID’s groundbreaking multi-year initiative, Resourcing Women’s Rights, pulls together data and analysis that deeply inform the fields of women’s human rights and that of philanthropy. Of particular note is AWID’s report, Watering the Leaves, Starving the Roots: The Status of Financing for Women’s Rights Organizing and Gender Equality, wherein AWID provided analysis on the funding trends impacting women’s rights organizing and the financial status of women’s organizations around the world. 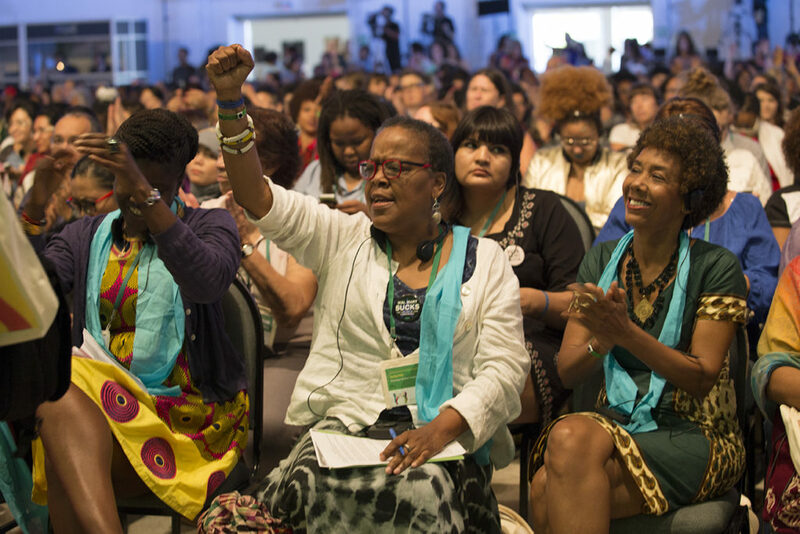 Based on a survey of over 1,100 women’s organizations in every region of the world, the report helped make sense of the rapidly changing funding landscape and made recommendations for how to mobilize more and better resources for women’s rights organizing through a feminist collective resource mobilization approach. Also Women Moving Mountains: The Collective Impact of the Dutch MDG3 Fund by Srilatha Batliwala, analyzed the aggregate impact of women’s organizations around the world that received grants from the Dutch Ministry of Foreign Affairs’ MDG3 Fund and demonstrated the huge reach and transformation that is possible when organizations working to build women’s collective power for change receive serious resources for an extended period of time, with flexibility to refine their strategies to adapt to shifting contexts.